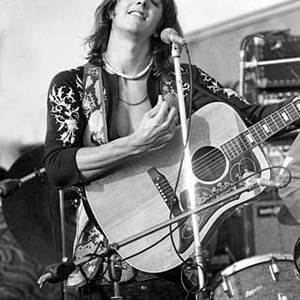 Gram Parsons (November 5, 1946 ? September 19, 1973) was an American singer, songwriter, guitarist and pianist born Ingram Cecil Connor, III. A solo artist as well as a member of The International Submarine Band, The Byrds and The Flying Burrito Brothers, he is best known for a series of recordings which anticipate the country rock of the 1970s and the alt-country movement that began in the 80s. Parsons was a close friend of Keith Richards and is also credited for turning The Rolling Stones onto country music in their 'Let it Bleed'-era. Parsons described his records as "Cosmic American Music". He died of a drug overdose, at the age of 26, on September 19, 1973. According to the liner notes of "Gram Parsons: The Complete Reprise Sessions", Parsons' body was stolen and set on fire at Joshua Tree by his road manager, Phil Kaufmann.